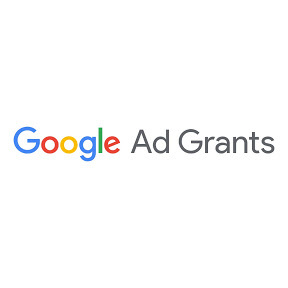 In support of their Ad Grants program, which provides qualified nonprofits with $10,000 USD of in-kind advertising every month, Google has just announced the launch of their Ad Grants Certified Professionals Directory. This new directory of certified professionals will help nonprofits, who need assistance apply for or management of their $10,000 a month ad grant, to easily identify those agencies that have demonstrated expertise in the Ad Grants program. While some nonprofits are able to find success managing their Google Ad Grant accounts on their own, other nonprofits may not have the time or in-house expertise to effectively manage their account. As such, they turn to professional help through a third-party agency, such as a Google Partner. Even then, success with Ad Grants isn’t assured. This is because even though all Google Partners have experience in AdWords (the platform that Ad Grants runs on) not all Google Partners have experience with Ad Grants. As such, finding the right agency that understands the nuances and policy requirements unique to the Ad Grants program can be challenging – that is where Google’s new Ad Grants Certified Professionals program comes in. The program only includes agencies that have been carefully vetted by the Google Ad Grants team as having true expertise in the Ad Grants program. This helps nonprofits identify those agencies that have experience with Google Ad Grants and can help the nonprofit best utilize the Google Ad Grant. Kinsey Street Online Marketing, an agency that has long provide Ad Grants management services to nonprofits in the US and around the world was one of the first to be recognized and included in the new program by Google. If you are a nonprofit interested in obtaining a Google Ad Grant or getting the most out of your current Ad Grant account, certified professionals such as Kinsey Street are here to help. Kinsey Street is a Google Premiere Partner and has specialized in helping nonprofits in the United States get the most out of their Google Ad Grant since 2009. For more information, visit https://www.kinseystreet.com/ or follow on Twitter @kinseystreet. See our press release on PRWeb.